Lydia and Jon chose to stay close to home for their intimate wedding ceremony and reception. 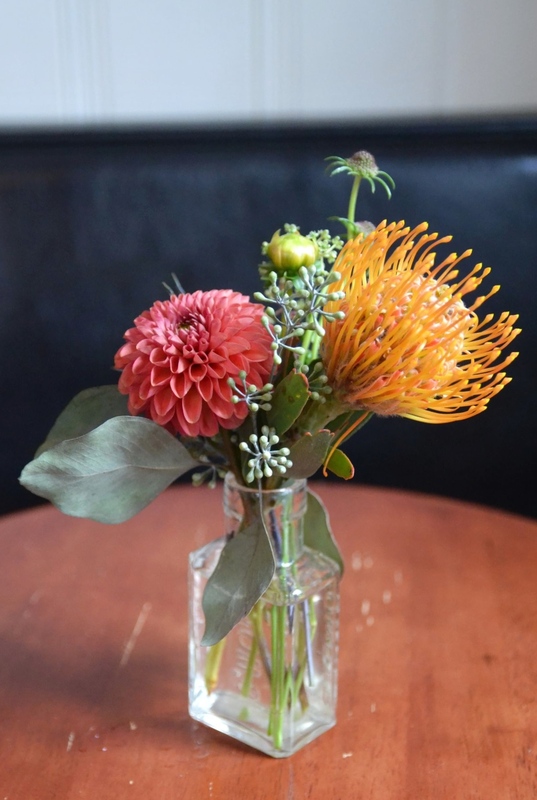 The Williamsburg couple got ready at The Wythe Hotel (which also hosted their rehearsal dinner...separate blog post coming soon), and chose the cute Tuffet Bar as their ceremony and reception venue. 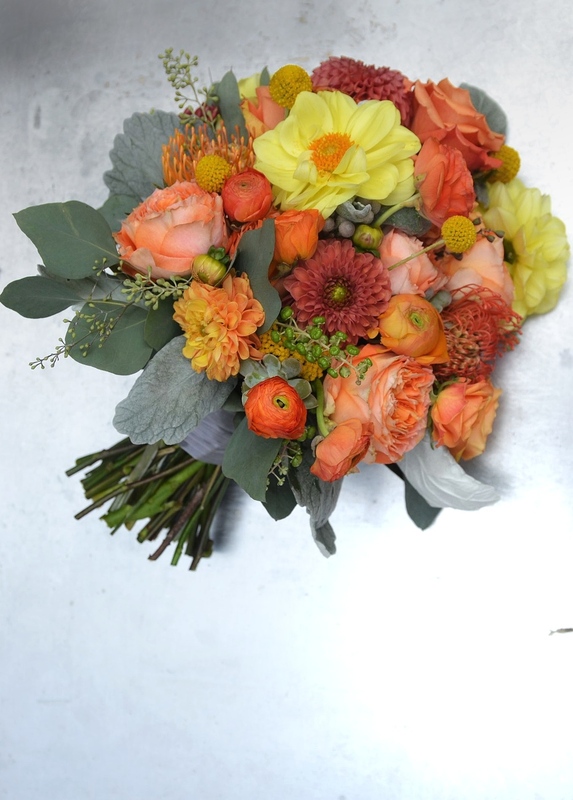 Lydia and Jon loved the black and white decor at Tuffet, and wanted bright and textured flowers to add pops of color to the venue. 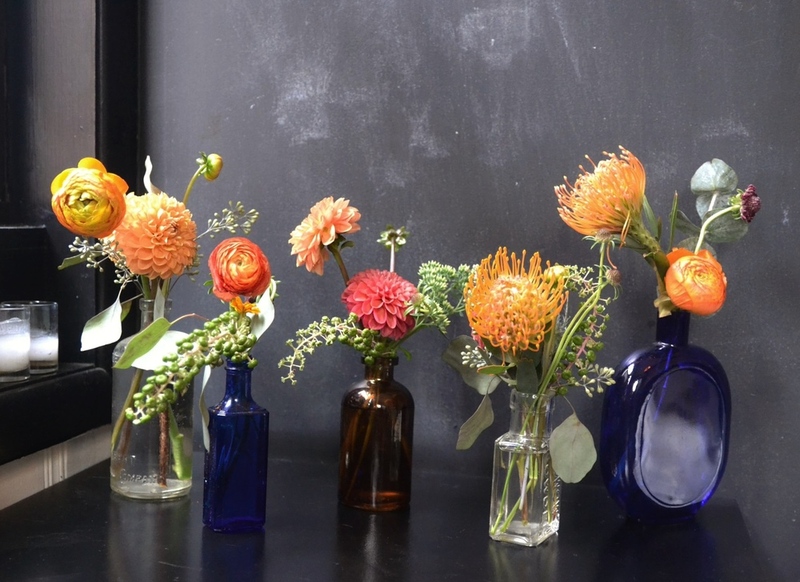 We came up with a fun deign which included vintage bud vases and containers made from colored glass and metal. 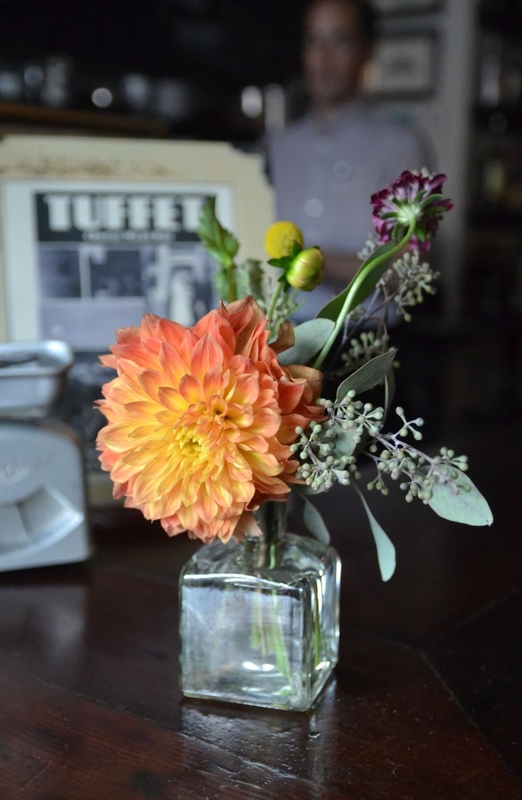 The flowers included local dahlias and berries, greens and hydrangea from our Rosehip back garden. 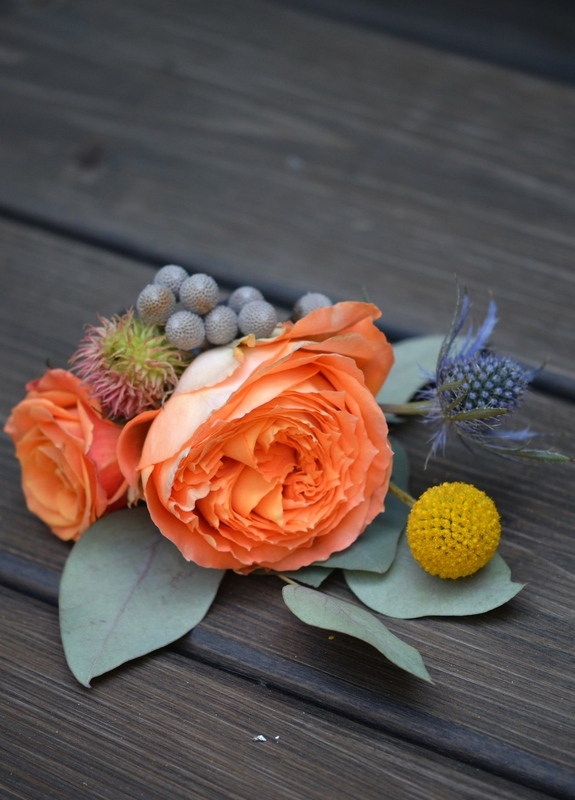 We were also able to get our hands on some gorgeous orange garden roses, rononculus, succulents and crispedia, which added the perfect late-summer feel to the space. 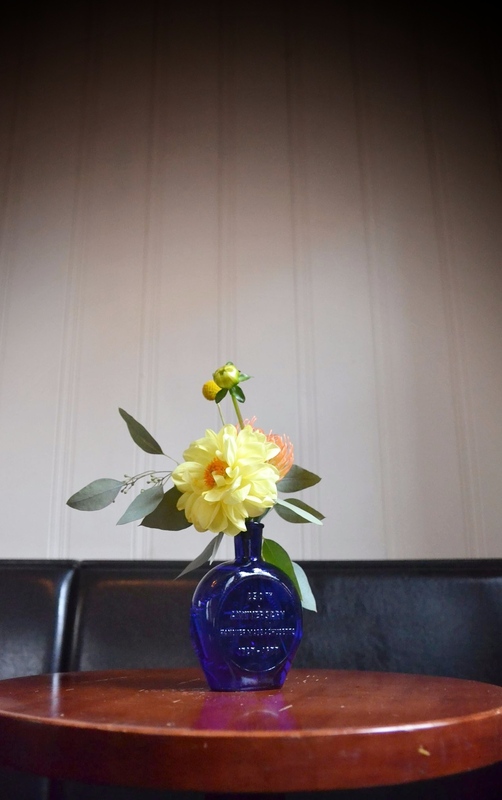 The bud vase arrangements worked well with the cocktail style reception and didn't take up too much of the valuable table space. 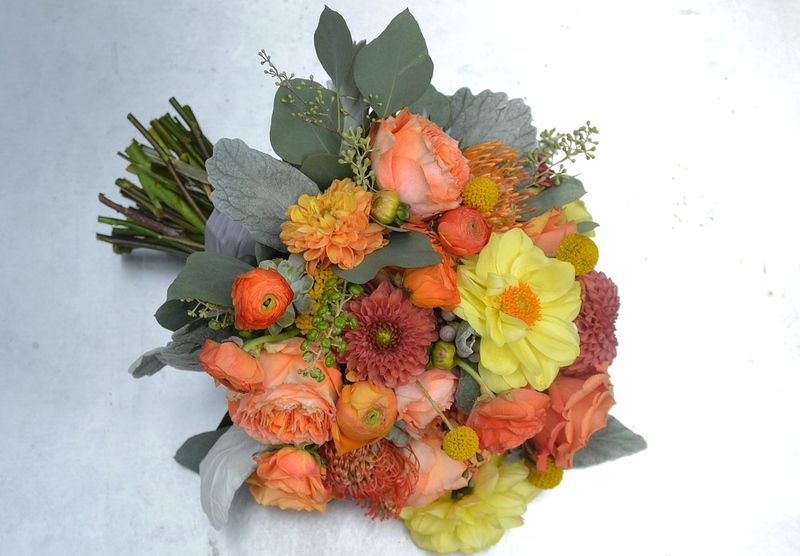 Lydia's bridal bouquet featured a textured and lush mix of late summer dahlias, organogenesis garden roses, spray roses, yellow yarrow, orange ranunculus, succulents, prothea and accents of dusty miller and eucalyptus. It was tied with a delicate grey ribbon. 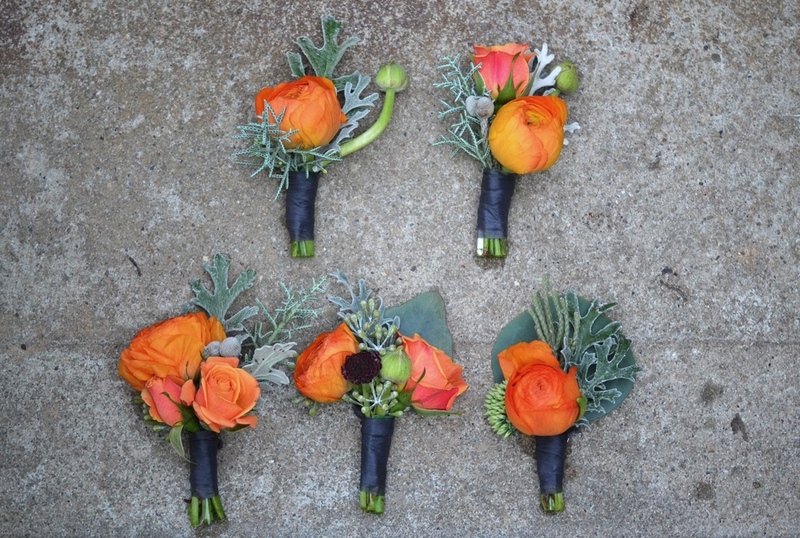 The bridesmaids chose between hair flowers, wreaths or lapel corsages. 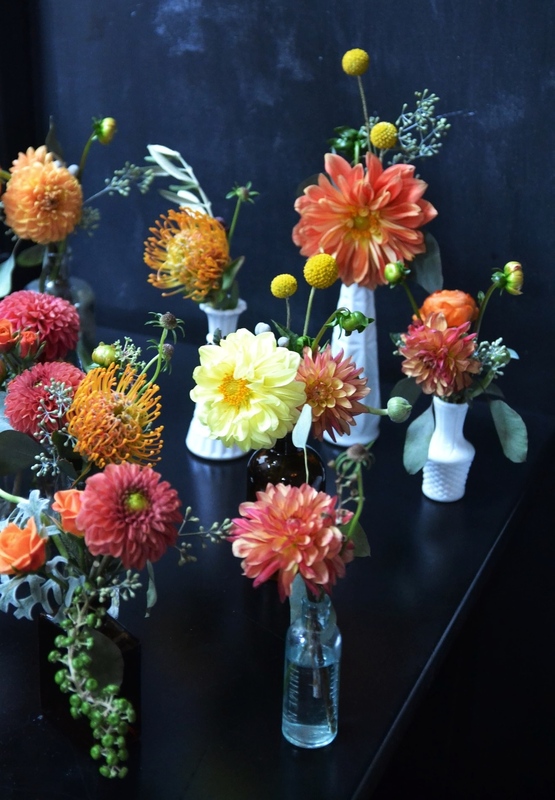 The bright flowers complimented their different grey toned dresses. 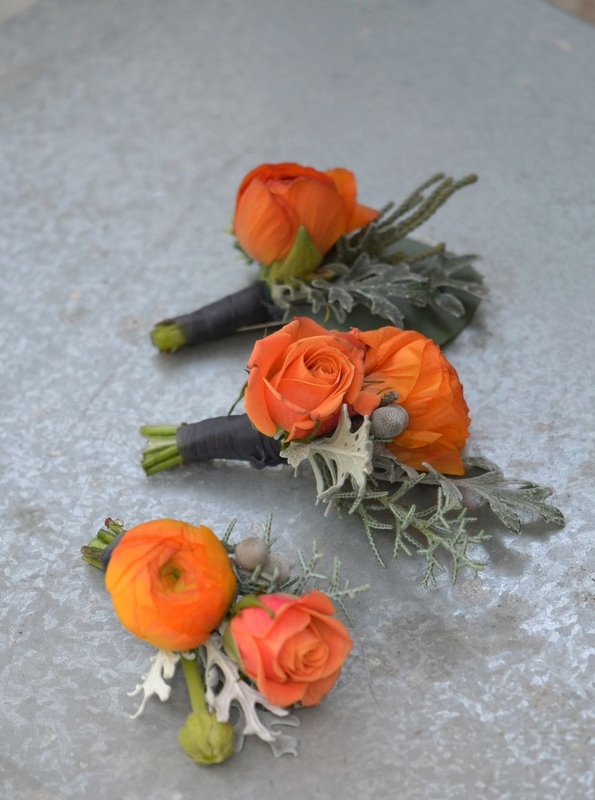 The boutonnières for the gentlemen were all slightly different and featured orange ranunculus, spray roses, sedum, dusty miller and eucalyptus seeds and leaves. All were tied with grey ribbon, which coordinates with their grey toned suits. The ceremony was officiated by the couples close friend and took place in the Tuffet back garden. 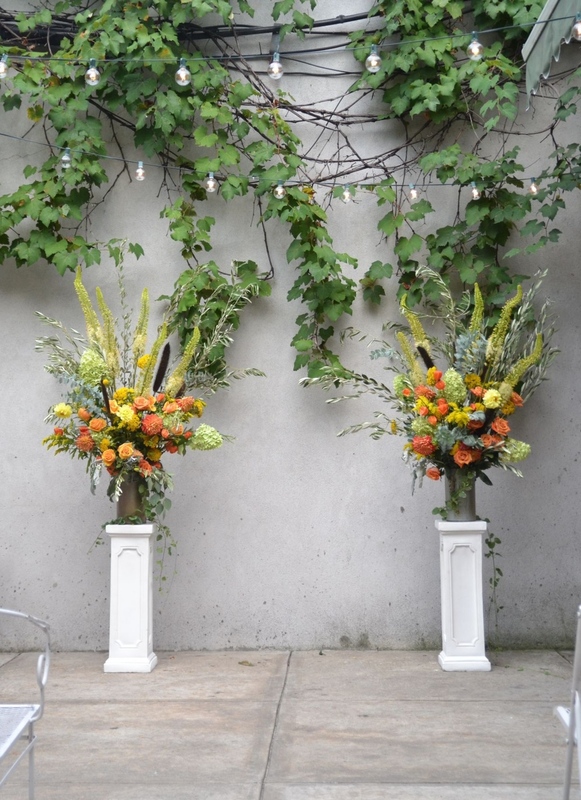 We made extra tall arrangements to define the ceremony space and add a fun pop of color to the white and ivy covered wall. In leu of a traditional wedding cake, the couple served delicious pies from another local favorite, Blue Stove...yum! Congrats to the happy couple and can't wait to see them around the neighborhood!